탑이 세워진 이 곳은 장각사라는 절이 있었던 곳으로 전하나 확실한 기록은 없다. 탑은 2단의 기단(基壇) 위에 7층의 탑신(塔身)을 세운 일반적인 모습으로, 흙을 다져 만든 단 주위에 돌로 테두리를 잡아 구역을 정한 후 그 위에 탑을 세웠다. 기단은 여러 장의 판돌로 이루어졌고, 탑신은 위층으로 올라갈수록 일정 비율로 줄어들고 있다. 1층 몸돌은 3개의 돌로 구성되어 있으며, 네 모서리에는 기둥 모양이 새겨져 있고 동쪽 면에는 문짝 모양의 조각도 있다. 2층 이상은 지붕돌과 몸돌을 하나의 돌로 구성한 특징이 보인다. 얇아보이는 지붕돌은 느린 경사가 흐르고, 네 귀퉁이에서의 치켜올림이 뚜렷하며, 밑면의 받침은 5층까지는 5단을, 6·7층은 4단을 두었다. 꼭대기에는 머리장식을 받치는 네모난 받침돌만 남아 있다. 탑신의 경쾌함이 돋보이는 탑으로, 크기가 장중하고 전체적인 균형의 정제미가 뛰어나서 통일신라시대의 석탑양식을 이어받은 고려 전기의 작품으로 추정된다. 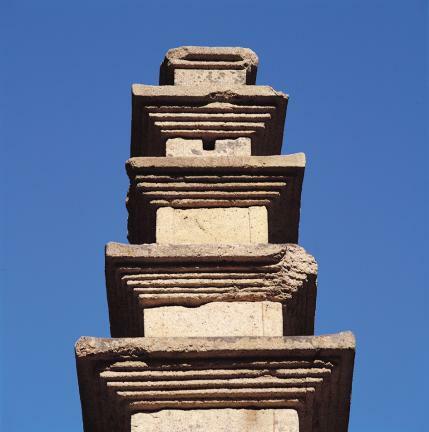 This is the main part of the pagoda reconstructed in 1978 after it had collapsed during Japanese colonial rule. 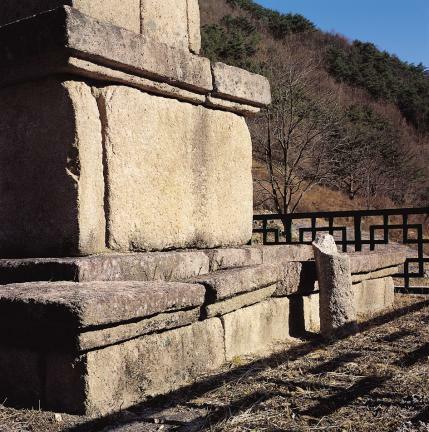 Some say that this was the site of Janggaksa Temple but there is no record to support this. 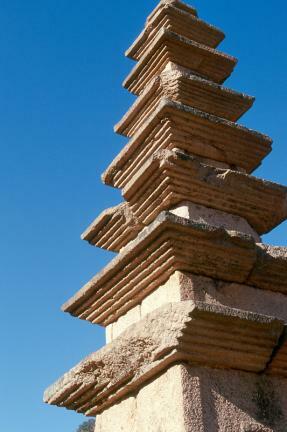 It is usual to divide a pagoda into three parts, the platform, the main section, and the finial. 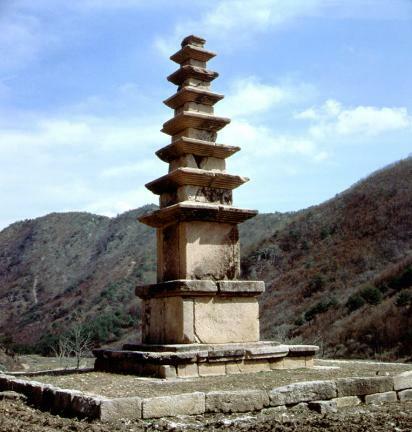 This pagoda a typical one with a seven-story main section supported by a two-story platform. It stands in the middle of an earth-wall formed by leveling off the earth around the platform and framing it with stone. 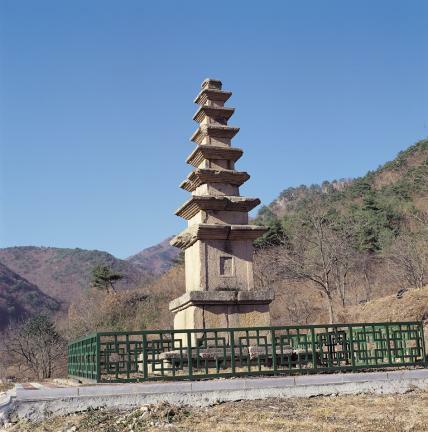 The platform that holds the main part of the pagoda is made of several stone slabs. The main part of the pagoda gets narrower at a fixed ratio as it goes up. 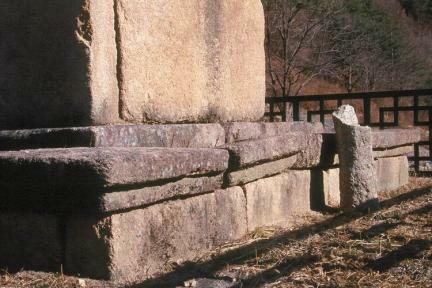 The first story consists of three layers of stone with engravings of a pillar pattern on the corners and a door pattern on the eastern part. From the second floor to the top, the roof and the core stone are assembled into one. Every story up to the fifth has a five-layer strut for the roof. However, the number of layers in the strut decreases to four when it reaches the sixth and seventh stories. The eaves of the roof make a lovely upturn at each angled position. The balance between the platform and the main part of the pagoda is awkward but the main part is still elegant. 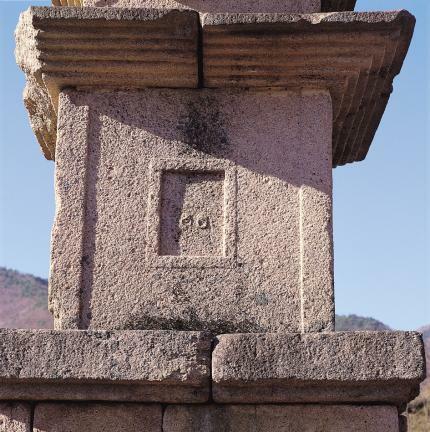 The only remaining part of the finial is the square base of the decoration. 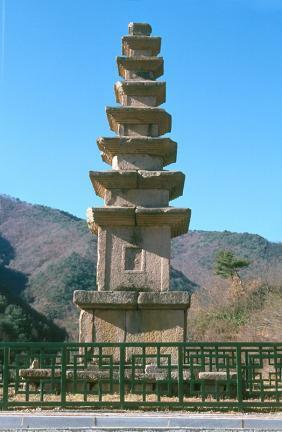 The refinement and magnificence of the overall structure reflect to some degree the style of the Silla era and provides grounds for the assumption that the pagoda was built during the early Goryeo Dynasty.